My Story Updated. I won’t Be told how to write my blog by an adult Who hasn’t had the decency to send me so much as a birthday card in over 10 years. I would’ve never in 1 million years thought that my children would ever fall out of love with me. We were very close As an example,I held my youngest daughter for about a year and a half I hardly ever let her out of my arms. I used to get emails and calls from them every day after I moved away from their father. All this changed significantly once his new girlfriend came into the picture. she started insisting that my children call her mommy and they were not allowed to call me on the phone anytime they wanted to once she moved in with their dad . I really got worried when she manipulated my oldest daughter into not coming to my visitation but instead going with her to the Bahamas. That’s just the beginning of it …the thing is she was not a party to the divorce I personally think that when stepparents or girlfriends or third parties (in-laws) begin to do this alienation stuff they should be held accountable in a court of law and maybe even face criminal charges. Unless it happens to you you would never know how devastating not being able to see and love and be loved by your children is. my life is dramatically changed and I still devastated 16 years after my divorce. I don’t go a day without at least crying a little bit because I miss my kids so much and I’ve missed so much of their lives. I have noticed that my two youngest children are very much users of me, meaning that they don’t send me a card for my birthday or anything like that but they have no problem calling me up and asking me for money etc. and so on. I don’t want to refuse them but sometimes it’s just heartbreaking and it makes me angry to feel so used. 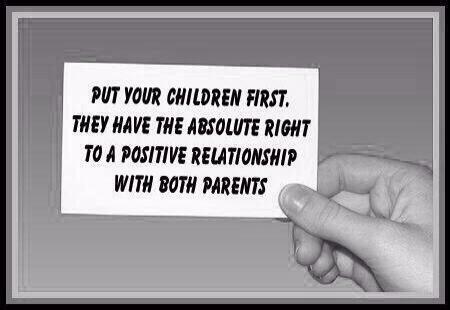 It is also my opinion that very often parental alienation occurs by accident. It occurs when a child is very young and is overhearing conversations between adults when they are saying not good things about the parent who hasn’t got custody. The kid is afraid that the parent he lives with is going to reject him as he has rejected the other spouse. These tormented children feel that about half of their DNA make up is something they should not be proud of. They feel that they are half crap. This is a terrible way for a child to feel about themselves and their self-esteem is diminished considerably. My two older kids are kind of standoffish from me but at least they are communicating and tell me that they love me. My two younger kids who were primarily raised by the stepmother both have tried to kill themselves and both identify themselves as homosexual. I would really like to see some studies on children of PAS as adults, How these adults fair later in life as it relates to whether or not they have straight healthy heterosexual relationships, I would also love to see some information on the percentage of these children who commit suicide. I think we will all be surprised how high the Number is.